When considering what equipment will be best for your film, the DSLR camera should be top on your list. Models like the Canon Rebel T4i sit on the lowest rung of the price ladder, but don’t let its $700 price tag fool you. Its high-definition video capability at a wide range of resolutions and frame rates offers a lot for the money. It can easily produce a broadcast-quality movie. 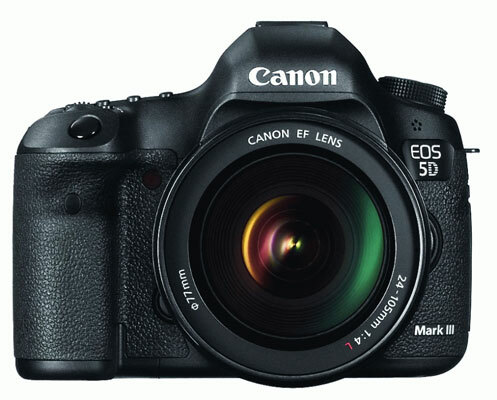 More serious users, however, may opt for the movie-friendly Canon 5d Mark III with its solid design, full-frame sensor, and dedicated functionality for DSLR moviemaking. The Mark III costs nearly six times that of a Rebel, however, so make sure your needs warrant the extra cost. Which camera you use is dictated more by your needs than an overwhelming difference in image quality. Nonetheless, the process of selecting the right camera can make you feel like Goldilocks trying to find the right bed or picking the perfect lunch. In porridge-speak, lower-end cameras are the cold stuff. More practically, however, they’re for the budget-conscious. Not everyone gets to sleep in Papa Bear’s bed, or buy a 5d Mark III for that matter, especially if photography is not your profession. As long as you’re capturing in full HD and using quality optics, it’s perfectly acceptable to use an affordable DSLR and expect to see optimal results. Features, durability, and sensor size play big parts in camera pricing. Just like film formats came in different sizes, so do camera sensors. And depending on the actual size, the sensor determines how much the image is magnified on it. Using the same 50 mm focal length on cameras with different sensors will give different results, with the larger sensors including more of the scene. The APS-C sensor is smaller than a full-frame, so it renders focal length on the long side. Compared to a full-frame sensor, it makes the image larger on the sensor. That means that your 50 mm lens turns into an 80 mm lens when using the APS-C sensor because it adds a crop rate of 1.6X. That means the subject will be 1.6 times larger on the sensor. Nikon uses a 1.5X. A 4/3 and Micro 4/3 uses a 2X factor. On the positive side, cameras with an APS-C sensor make your 200 mm lens more like a 320 mm lens, bringing the subject far closer. On the downside, that 20 mm lens on the wide side now behaves more like a slightly wide 35 mm focal length. Other than that, all that matters is that the camera captures in high definition. Durability is another issue. The more expensive models are made of titanium. That means models at the bottom of the class are not as solidly designed and often not as ergonomic. These include the Canon T3i, the Nikon D3100, and Sony SLT-A35. As for feature variations, more expensive models include sophisticated audio control and better Live View functionality. Still, many of the main differences between DSLR price points have more to do with still photography functions than movies. Features like greater capture size, metering options, and viewfinder integrity are a few functions found on better models. A full frame DSLR with reinforced body, more nested controls, and a viewfinder that provides 100-percent coverage is a good choice. This class of camera offers a sensor that covers as much as a 35 mm frame to produce the most quality in your image. On the telephoto side, the magnification comes at face value, so you won’t get any closer than you would when using a 35 mm camera. Also in the mix (no pun intended), are more sophisticated audio controls, improved sensor technology with lower noise and increased image quality, and a more solid feel. Popular models in this elite group include the Nikon D4 and Canon 5D Mark III. Need more than what the basic models offer, and don’t want to spend more money? Most of the cameras in this group offer controls and features found on more expensive models. They still use the smaller APS-C sensor size but are more ruggedly designed than those found in the entry level. Some models in this class include the Canon 7D, Nikon D7000, Panasonic Lumix GH2, and Sony A77.